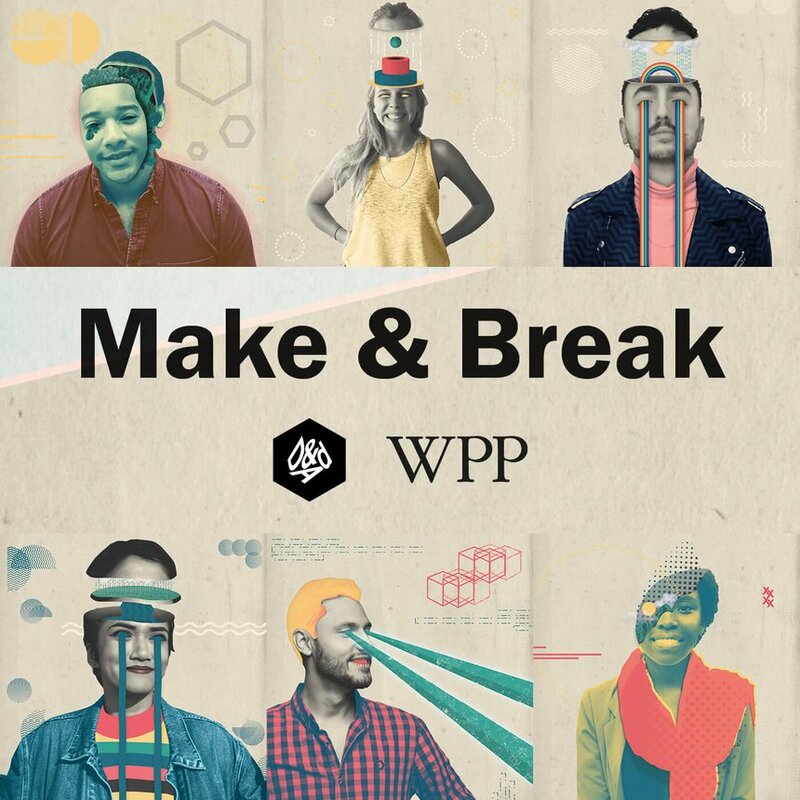 Make & Break by D&AD and WPP is perfect for anyone looking to kick-start their creative career or who is interested in advertising and design. Presented by Naina Sethi, this podcast and interview series sees industry leaders and young creatives discuss a different topic related to creativity including storytelling, authenticity and dealing with tight deadlines. Authenticity is something that all creatives strive for, but how do we manage this when dealing with brands and clients? Is it important to always produce authentic creative work? These are just some of the questions tackled in this podast by Chris Bovill (Warner Music) and Cullen and Ola, two ex New Blood Academy participants who now work for him. For many people, landing their first job in the creative industry is an achievement enough, but in this podcast we explore how to make the most of it. D&AD New Blood Awards 2018 Winner, Adam Morton-Delaney, chats with designer Craig Oldham and Poke London’s Robyn Frost. A lot of brands try to tap into popular culture, but how can they do it in a way that feels genuine and relevant? David Speed from Graffiti Life and Superimpose’s Jenny Zhang chat to New Blood participant Ian Nabong about culture and relevance. Episode 4: Thinking: A Skill for Tomorrow? We often focus on what the future skills are in terms of tech and innovation, but do we sometimes forget about the art of thinking? In this episode New Blood participant Cath Shayler discusses the art of thinking with AKQA’s co-founder, James Hilton. Sometimes tight deadlines can seem like the biggest stress you face when developing creative work, but how do we use them to our advantage? Elise Smidt and Karina Bonnin, a creative duo from New Blood Academy, talk to CCO at Mr President and former D&AD President, Laura Jordan Bambach, about how deadlines should not be seen as the enemy. In this podcast episode one of the UK’s best script editors, Andrew Ellard (Chewing Gum, IT Crowd, Red Dwarf), chats to Nodee Niranjana from New Blood Academy about what makes a good story. They cover everything from creative copywriting for TV, to the future of comedy. What makes an outstanding portfolio?